Are you all fans of Valentine’s Day? We honestly just love the pink and red color combo, haha. We both think it can be a little over-hyped, but we can’t say no to chocolate, flowers, or hearts, right?! We asked you all, and you all wanted outfit ideas, as well as some gift ideas, so we have some good ones we rounded up for y’all! 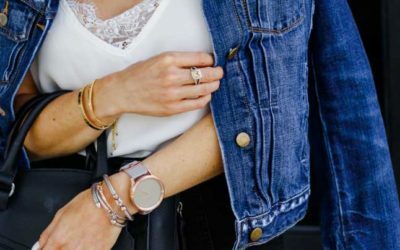 As far as outfit ideas, we put together some casual looks you could wear to to date night, Galentine’s dinner/brunch, some dressier looks to wear to dinner, or some cozy pieces for a night in! We love pairing some ripped or dark jeans with a red or pink sweater or a fun blouse! You could also pair some faux leather leggings with a cami and a cardigan or moto jacket on top for a more edgy look! This heart nightie is so cute (also makes a great gift!) and this lip pajama set is too fun! For all things cozy, this blanket is the softest thing ever! We also swear by this pillowcase for better skin and hair. These sandals are by far our favorite and our mom just got a pair, too! For beauty lovers, this face roller is great for rolling out your face and your lymph nodes, and we love this lip palm set— super moisturizing! For the men in your life, here are some ideas for you all! We made sure to include different price points! Guys can be so hard to shop for! We got these UGG slippers for our dad and Sam’s boyfriend lives in his! A blender like this one is always a nice gift for smoothies or whipping up yummy dishes! We got these shirts for our dad and Sam’s boyfriend and they LOVE them! They are machine washable AND don’t wrinkle! For music lovers, this bluetooth speaker set is a great option and comes in 3 colors, and these noise canceling headphones are a game changer for travel!